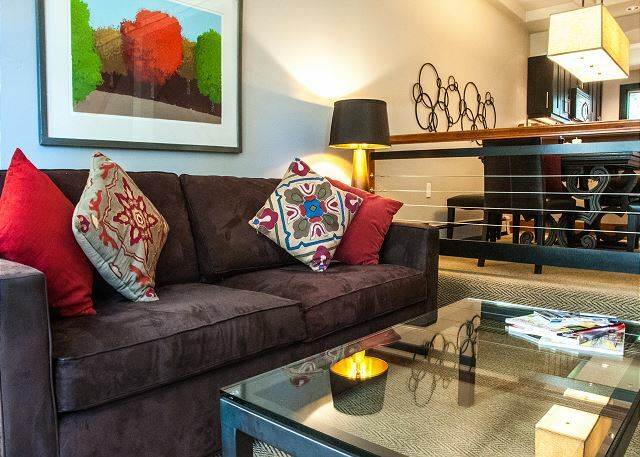 Managed by Gore Creek Properties, this lovely gold rated 2 bedroom + den + loft townhome is situated on the Gore Creek in West Vail, close to all the bars, restaurants and grocery stores. 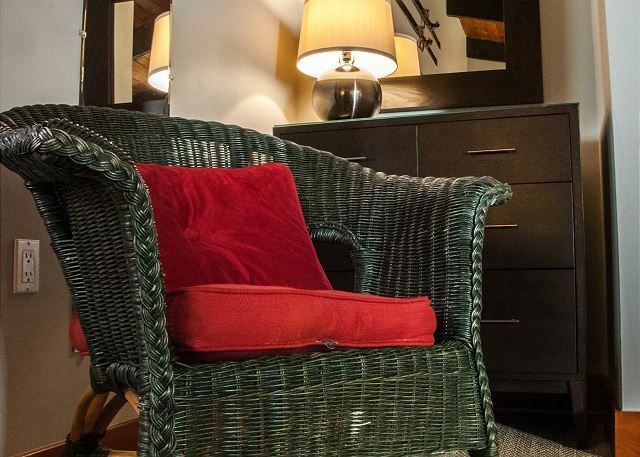 The fully furnished home can accommodate up to 7 guests and has a wood burning fireplace for chilly winter nights. Firewood will be provided during the winter months. This house also has free wireless internet available. 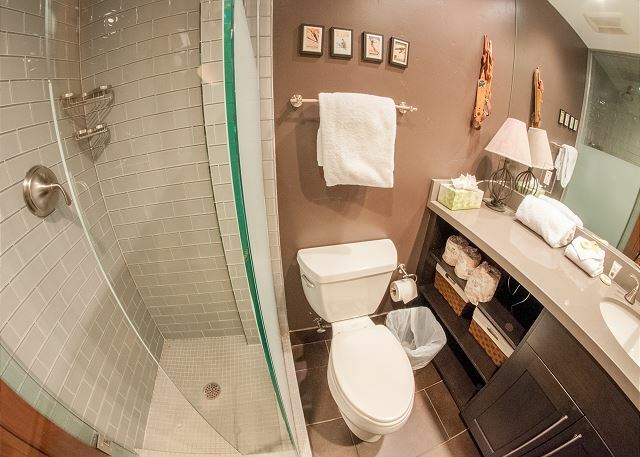 The townhome has been beautifully remodeled. It is minutes from Lionshead and is on the free ski bus route. The bus runs into Lionshead village and Vail village every 30 minutes during the winter season. 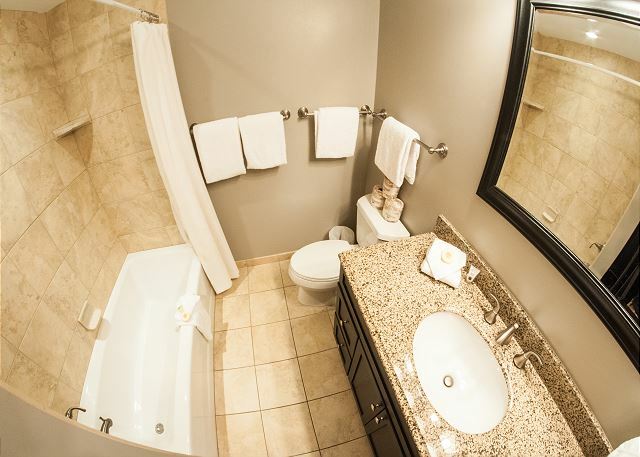 The complex has hot tub access and there is a heated swimming pool for summer months. 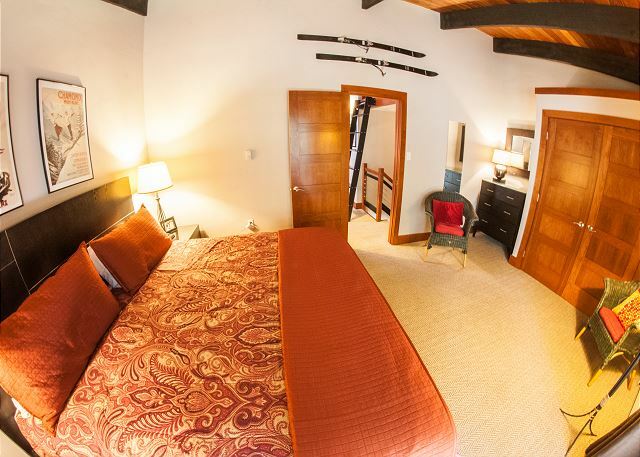 It is located just 2 miles from Lionshead and 3 miles from Vail Village. The property does not allow pets and is NON SMOKING. Everything was clean, excellent location, a great and comfortable place to stay. The only thing that could be better is that even though there’s two showers, hot water only works in one at a time. We had a wonderful stay. The house was very clean and well equipped. While the design of the property was nice and comfortable, the quality of furnishings (w/exception of beds in bedrooms) was very average and cleaning needs to be surveyed! The mattress in loft was not suitable for sleeping :(( There were stains on most of the glass tops, ex bedside table and chest of drawers in master bedroom. Some of the cooking utensils in the kitchen were very dirty - not usable. All that said, we enjoyed our stay. As before, my experience in dealing w/Gore Properties was efficient and helpful. We rented Ptarmigan 2 in West Vail for 4 days for a sibling ski trip. It worked out well for us. It's only a short walk to the Vail bus, which is important when you're a bunch 50s/60s year old skiers in ski boots! There was a few items missing: kleenex, dishwasher soap, but an email to the office got them to us the next day. Unit is set up nicely for comfort. Kitchen and baths are quite modern. Suggest allowing the keys to remain in the unit on checkout as we had to make an extra stop at the office in East Vail to drop them off - allow extra time on your way to the airport for this. Overall good experience. We have been staying at various Ptarmigan units for almost 30 years. We love the location. The bus stop is just steps from any door or it is a quick drive to Lionshead or Vail. 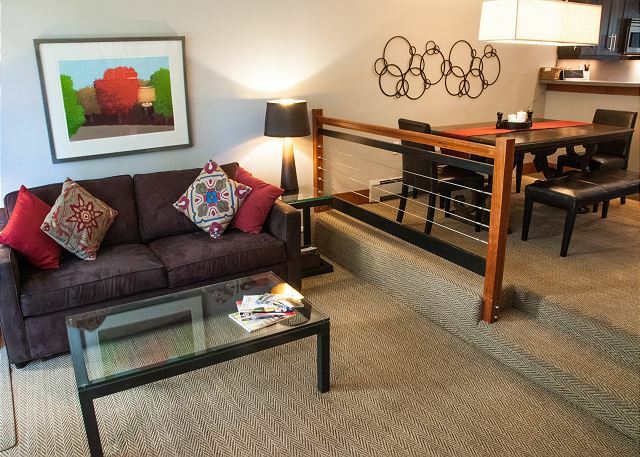 We enjoy having the extra space and laundry facilities (in the unit) versus a hotel room closer in. Over the 30 years we have worked with 3 different property managers. Under the latest management there was a noticeable increase in price and no discount for a rental over one week. Other than that we no complaints. My son and I just recently visited the Ptarmigan Townhomes on a family ski trip. The unit was more than we expected, it was very clean and spacious. It was only a few steps to the shuttle into town. The managment company was very nice and accomodating as well. I would highly reccomend staying here to anyone.